While some drivers prefer the “new-car smell,” other prefer the many benefits of buying used, such a lower price-tag, slower value depreciation, and access to CPO vehicles. At Dennis Dillon Nissan, we’re please to offer a selection of 79 used cars for sale in Boise, ID. Below, you’ll find used cars from Nissan, as well as other top brands – all of which make exceptional gifts. Plus, if you’re looking for like-new performance, many of our vehicles are low mileage! Check out our under-$10K inventory, as well. Don’t hesitate to contact us with questions about our inventory, or to schedule a test drive near Nampa! 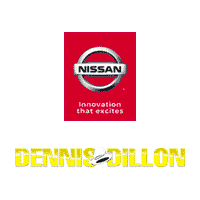 Why Buy a Used Car from Dennis Dillon Nissan? There are plenty of good reasons! For one, we work to ensure your complete satisfaction by offering a No Risk Program for our used cars. If you’re unhappy with your purchase, you can return it within 48 hours/300 miles for a money-back guarantee, or exchange it for another vehicle of equal value. Additionally, we’re always offering pre-owned vehicle specials, so Meridian and Caldwell drivers can find quality used cars at even lower rates.